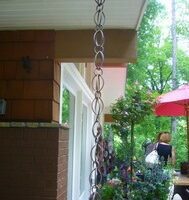 Rain chains are a beautiful eco-friendly alternative to standard downspouts. 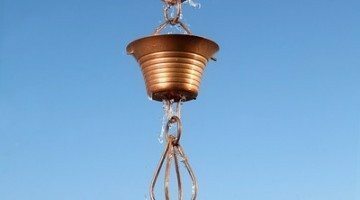 Basically, you're making a water feature out of the transport of rainwater from the gutter down to a drain (or a storage container, like a rain barrel). 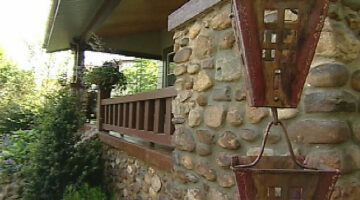 Here, homeowners share how they made affordable rain chains for their homes.